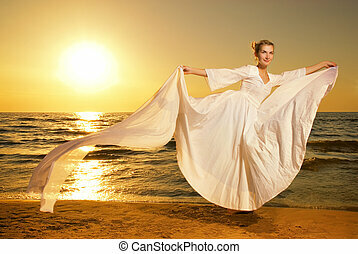 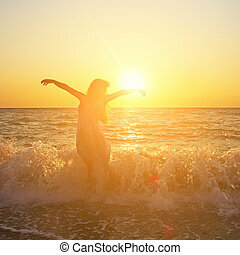 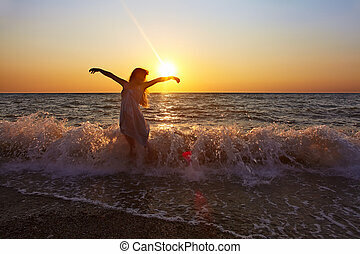 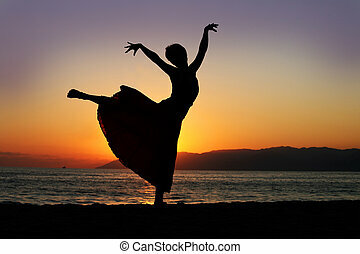 Dancing woman at sunset. 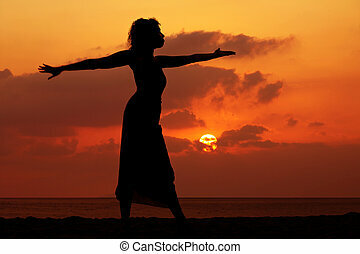 A silhouette of a woman dancing in circles in front of a pink sunset. 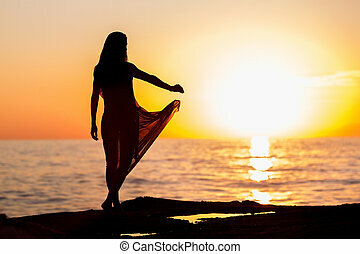 A silhouette of a woman dancing in circles in front of a pink sunset. 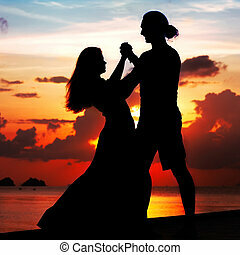 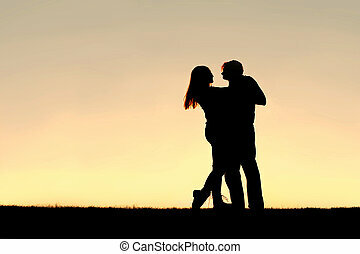 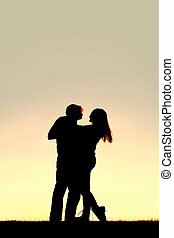 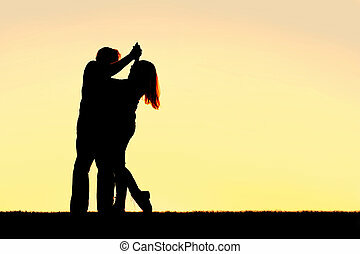 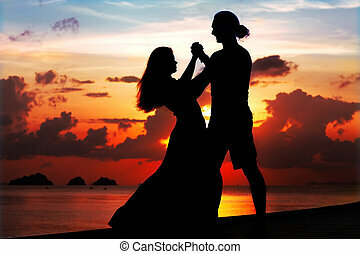 A silhouette of a happy young married couple slow dancing outside at sunset, with copy-space in sky. 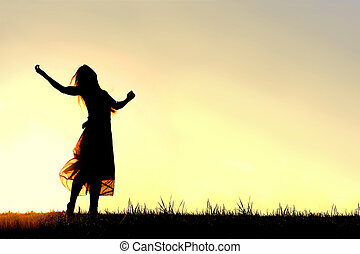 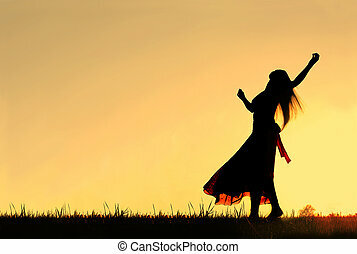 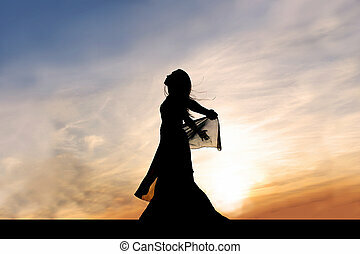 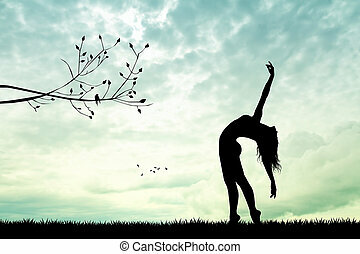 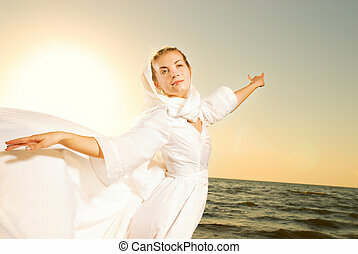 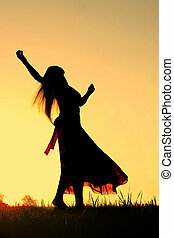 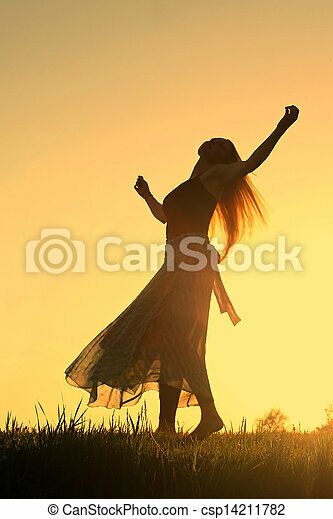 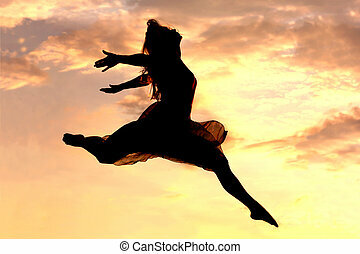 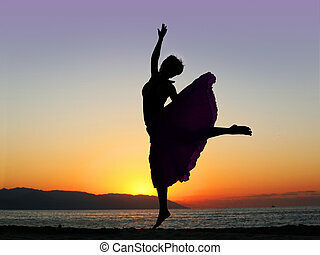 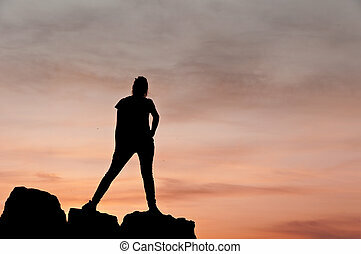 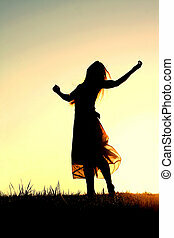 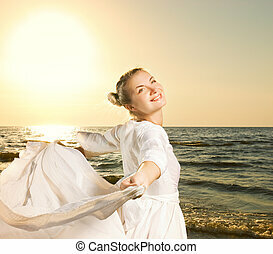 A silhouette of a beautiful, young, woman dancer, outside at sunset, praising God. 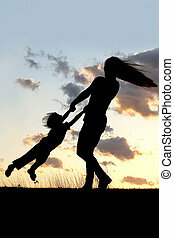 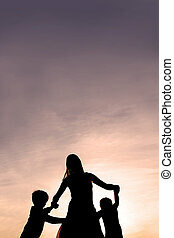 A silhouette of a playful young mother spinning and dancing with her little child outside at sunset. 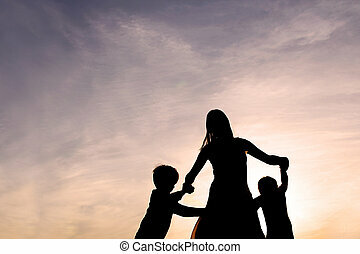 Silhouette of a mother and her two young children holding hands and dancing around outside, isolated against the sunset. 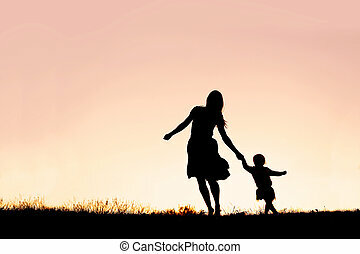 Silhouette of a happy mother and her baby daughter holding hands, and running and dancing outside at sunset. 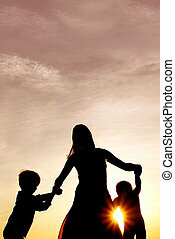 A silhouette of a happy mother and her two little boy children holding hands and dancing outside at sunset.